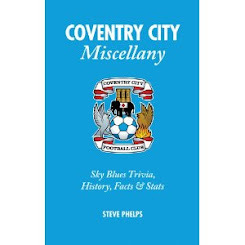 With the fixtures release date just five days away, City supporters await the next chapter in our club's fortunes. Many memorable opening day encounters have been provided by the FA's computer, this year sees a different kind of interest. 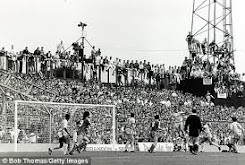 A million miles away from Anfield and Old Trafford, visits to new cities and towns beckon, uncovered terracing at stadiums we've previously only driven past. 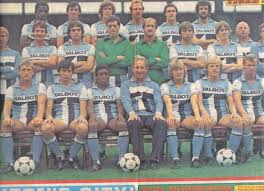 Dave Sexton took charge of City in the summer of 1981. His bow welcomed Manchester United, the club who sacked him pre-season. Ron Atkinson's 'Red Devils' left Highfield Road on the receiving end of a 2-1 loss as we collected three points for a win for the first time. Three months after our FA Cup triumph Tottenham were the visitors as record signing David Speedie scored on his home debut. 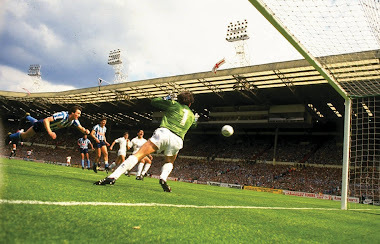 Gary Mabbutt again appeared on the score sheet, this time at the right end, as the Sky Blues won 2-1. 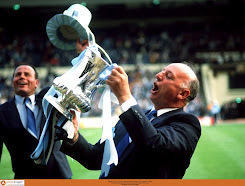 The visit of David Pleat's men ensured the famous trophy would not be paraded in front of the sky blue faithful. August 1988 saw Gazza's Tottenham debut against City vetoed by health and safety. White Hart Lane's new stand failed a late fitness test and would see a two point fine implemented. 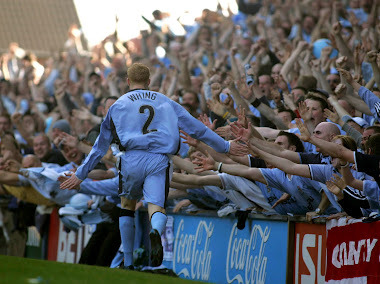 There was only seven days for the genial midfielder to wait - his bow came at St.James' Park, home of former club Newcastle. Summer signings heighten expectations as day one approaches. 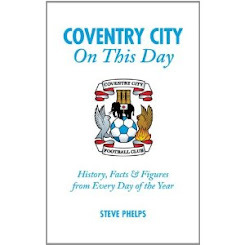 Gary McAllister and Moustapha Hadji's respective arrivals in '96 and '99 brought the 'wow' factor to Coventry. 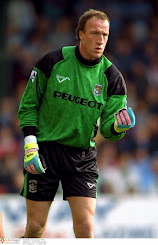 Kevin Campbell's treble for Forest clouded Gary Mac's debut while Egil Ostenstad's late winner dashed the hopes of City's Fez wearing brigade upon Hadji and Chippo's introduction. All three, however, would light up Highfield Road in the months to come. 46 League One games will provide a culture shock, the quality will diminish but the honesty will illuminate. No more prima donnas falling over at the slightest contact - Ipswich's Lee Martin - and no feigning injury as genuine competitiveness will reign. The JP trophy and a November FA Cup tie will bring a dose of reality as we take to the pitch in yet another new kit. The bookmakers like the look of us too, installing us as fourth favourites, maybe they know more about events at the club than we do. As supporters, we're always the last to know, it's becoming habit to expect no news each morning and that's the worry, there appears to be no urgency to lift this embargo.